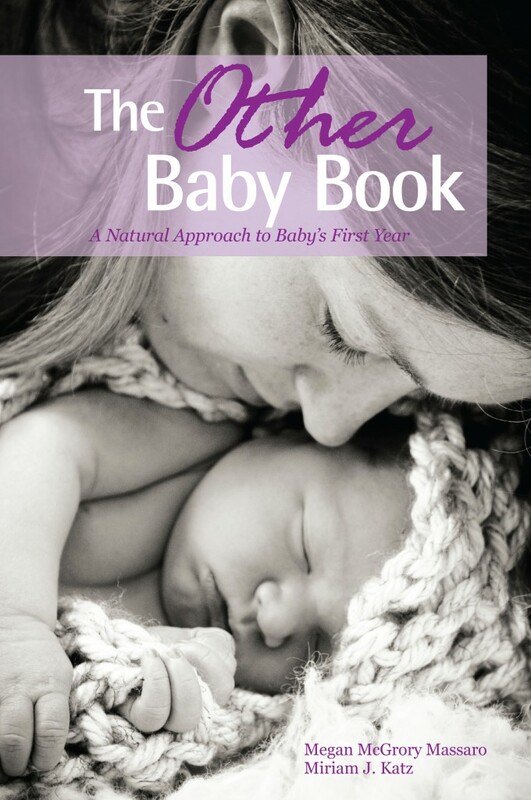 I’m honored to be a part of the Virtual Book Tour for the release of The Other Baby Book~A Natural Approach to Baby’s First Year! Ready to get your cradle rocked? What if the “rules” of modern motherhood were turned upside down? What if you knew your baby won’t “spoil” if you carry him close? What if you were the best expert of your own baby? What inspired you to write a parenting book? It took me almost a decade to decide “what I wanted to do with the rest of my life,” post-college. I taught middle and high school English for seven years, but was energized by the time I spent alone, sitting at the kitchen table, reading, researching, and imagining life in the past, and pecking out stories that no one read but me. Eventually, I applied to twelve graduate programs in creative writing. 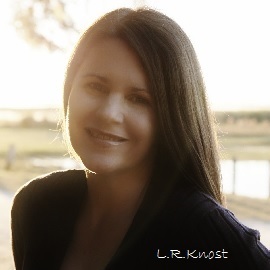 I was going to write epic historical fiction novels set in Europe. Travel to Italy. Talk with old ladies who had age spots on their hands and secret homemade tomato sauce recipes. But the day I got a phone call from my favorite program’s director was the same day I got that little blue ‘+’ on the pregnancy test. And as Kurt Vonnegut says, and so it goes. It didn’t feel right to turn down the offer without giving it serious consideration. I spent a week talking to other writers, friends, and older, wiser mothers. The refrain I heard over and over again was, “You shouldn’t stop your life just because you had a baby.” As if birthing new life were on par with adopting a cat or breaking up with your boyfriend. People told me things would “go back to normal” after about six months, so I should just defer a semester. But what about the work, I wondered. Hours spent writing, critiquing others’ writing, and reading. When would that happen? And the semi-annual flights to California for mandatory workshops…could I really leave my baby twice a year for eleven days at a time? Did I even want to? It was really a non-decision for me. That one step, the courageous, counter-cultural step to forgo a dream of school with days steeped in learning and discussion and debate and flat fingerpads from so much typing, to say ‘no’ to me and ‘yes’ to us—that one step drew a line in the sand for my parenting, too. I wouldn’t approach my daughter with the attitude that she needed to change to make my life easier/better/normal, but rather every day we change together, always dancing and finding the rhythm that puts us in sync with one another. So, instead of researching the history of the Sicilian mafia, I poured over parenting books. In anticipation of going back to school, I quit my job, and accepted a very part-time teaching position, leaving me plenty of time to read book after book, hoping to prepare myself for this amazingly life-changing event. While I found ideas that resonated with me, there were holes. Gaps. No one book took me from birth to the end of that first year. I read Ina May’s birth books, two books on Elimination Communication, three books and the entire La Leche League website on breastfeeding, a book on Baby-led Weaning, several of Dr. Sears’ books, two books on co-sleeping, countless numbers of Dr. McKenna’s research reports, and a host of post-partum health books. And then there was the internet. Forums, articles, Facebook posts, BabyCenter emails. It was all enough to make someone nutty, really. I had to sift through a lot of rocks to get to the jewels. But I did, and it was worth it. I learned that allowing your baby’s cord to pulse for several minutes after birth is a life-giving and incredibly beneficial practice. I learned that wearing your baby in a carrier decreases their risk of ear infections and can actually take the place of the dreaded tummy time. I found out that not only are diapers optional, but some cultures don’t use them at all. I learned that a mother’s intuition is no longer trusted. Somewhere along the way, it seems many of us started believing that perhaps society was right. Maybe we really do need books and experts and gadgets, hospitals and diapers and cribs and bottles. There’s nothing wrong with any of these things in and of themselves (we gave birth in a hospital and Anabella wore diapers), but along with the cultural wisdom and confidence that mothers are enough, we have lost the option to choose. About half way through Anabella’s first year, I teamed up with another revolutionary mama, and that old dream to write was revived, only it took on another twist—one that made sense for me in my current life stage. We wrote a book. It’s about mothers and babies, and the solid, mom-affirming wisdom our grandmothers’ grandmothers’ used to share around the table over a pot of tea, about trusting yourself to make the right decisions for your family. It’s not your average baby book. 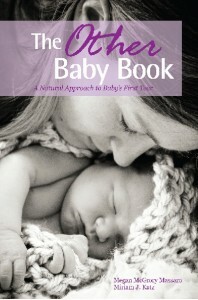 It’s The Other Baby Book…A Natural Approach to Baby’s First Year. You can find The Other Baby Book on Amazon or in select local bookstores. Join the TOBB community on Facebook or learn more about the book on their website. 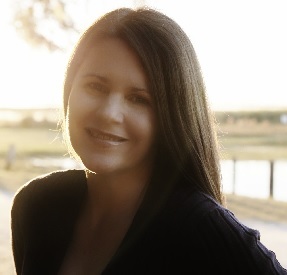 Megan Massaro is a freelance writer who still dreams of traveling to Italy (again) to research that epic historical fiction novel. For now though, she’s more than content to share life with her daughter and husband in Boston, MA. This entry was posted on April 19, 2012. It was filed under Uncategorized .